MILUG has had a busy September! 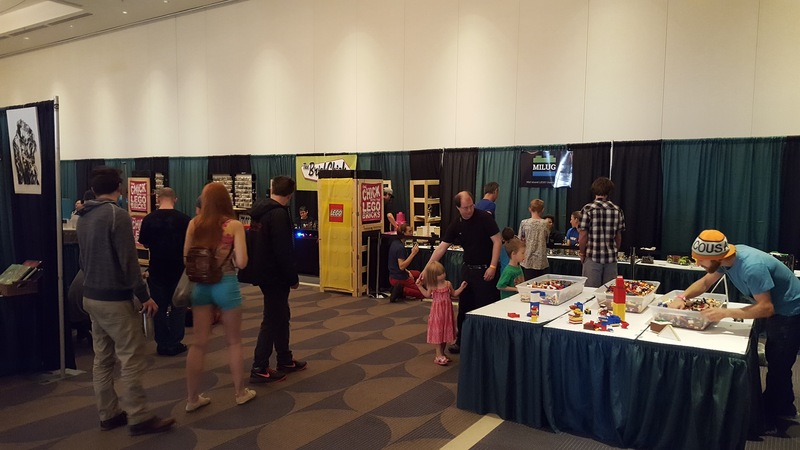 In addition to our largest meet-up at the beginning of the month where we gained a couple of new members, we also participated in MosaiCon held at the Nanaimo Convention Centre September 10-11. Although I admittedly don’t know the last thing about gaming (I do have fond memories of ColecoVision), I was excited to be involved in our first event in our own community. We even had 3 booths! A last minute brain wave meant a rush order from Staples to get a banner printed and they came through in record time. Did we ever look polished with that banner hanging above our booth! While the LEGO grabbed people’s attention, the banner seemed to initiate conversation as people asked about our acronym. When people expressed interest in the club — bam! — we handed them a business card. That’s right, we have taken it up yet another notch! Never again will I have to try to remember where I put the tiny note with someone’s email address (that I probably couldn’t read anyway) scribbled on it. Not only did we have a banner and business cards but a huge shout out to Brick Chick for making every member a MILUG brick badge! I was even able to give a plug to MILUG on CHLY 101.7 FM — thanks Radio Malaspina. The most exciting part was seeing every single member of MILUG come out to the convention and almost everyone provided a MOC – how cool! 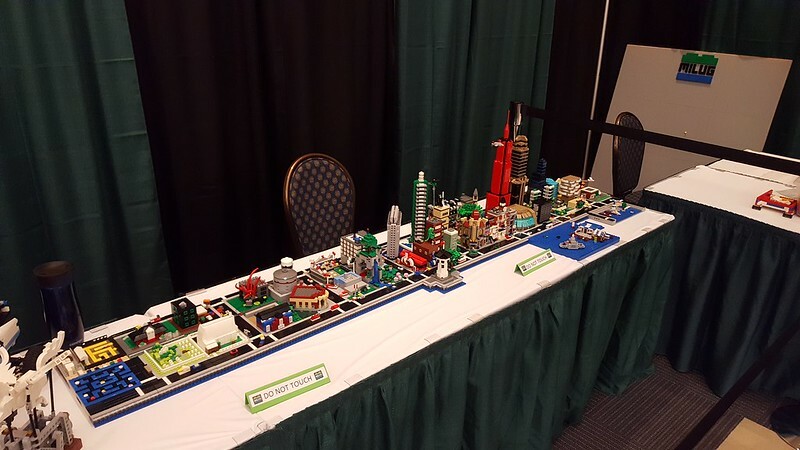 We had a good variety of MOCs from buildings to vehicles to games. We also had a fairly large Micropolis collaborative build. We originally planned to build Nanaimo’s downtown core but the layout of the city proved rather challenging in such a short time (all those angled streets!). So we set out to build some of the key buildings around town and then dispersed them throughout the general Micropolis modules to make a fun “Where’s Waldo” type activity. We even included White Sails Brewing where we hold our meet-ups! Check out our MILUG Flickr group for photos. VicLUG generously provided their play brick for our hands on building booth (one young guy even built a couple of Micropolis towers) and Brick Chick provided a studded wall for attendees to build on which was a big hit among young and old. Check out Flickr to see if you can find the Living Rave emblem on the mosaic wall. The LEGO Mindstorms Sumo Robot booth was very popular and I’m pretty sure a couple of kids were there most of the afternoon, including some of the big “kids” in our club. Thanks for inviting us to your con Mosaic IT. We’re already planning our gaming related MOCs for next year! 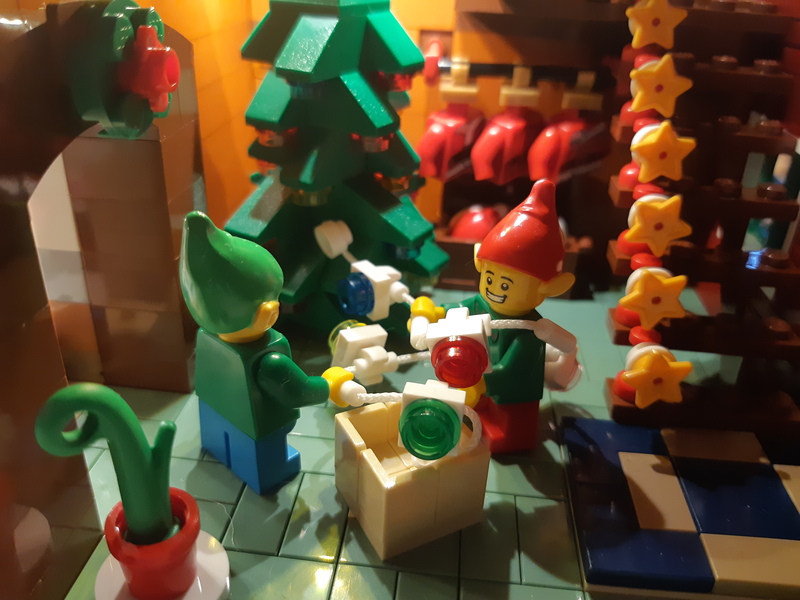 Next story Latest LEGO Ideas Set Revealed!